Van’s Chem-Dry is proud to bear the Chem-Dry name for its outstanding routine and we’re excited to bring it to the greater Sacramento, CA area. 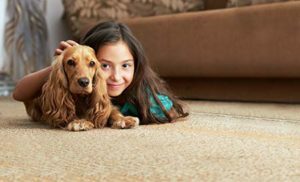 Whether you have everyday wear and tear on your carpets, or stains from a year ago, Van’s Chem-Dry’s carpet cleaning process in Wilton, CA is proven to restore life to your carpets. Our method uses the power of carbonation to remove deep stains and grime from your carpets. Our process is similar to using club soda to remove a stain from a t-shirt. Since we’ve modeled our process after the same concept, you can trust that it’s tried and true and that it really works. With Van’s Chem-Dry, your carpets are dry in much less time than our competitors, because we only use a fraction of the moisture that they require to get out half the amount of dirt that we do. Get back to your busy life faster with Chem-Dry. Another reason why Van’s Chem-Dry stands out to our customers in Wilton, CA is our green cleaning process that benefits not only your carpets but the environment for Sacramento and the surrounding towns. We live in Wilton too, and we want to keep your home and the environment clean. We pride ourselves on offering cleaning products that are safe for kids and pets and that work hard to eliminate future bacterial growth. For carpet cleaning services in Wilton from a brand, you know and can trust, contact Van’s Chem-Dry today and ask for a free estimate of our services! We’d be happy to give you one, because not only are we confident that our services will impress you, but we know we offer a great value for our customers in Wilton and the surrounding areas. Give us a call to see for yourself!